Two former police officers were acquitted of all charges Monday in the 2011 beating death of a homeless man at a Fullerton, Calif., transit station. It took a single day of deliberations for jurors to reach their verdicts regarding the culpability of former Fullerton Officer Manuel Ramos and former Cpl. Jay Cicinelli in the death of 37-year-old Kelly Thomas. Ramos, the first police officer in Orange County to be charged with murder while on duty, was found not guilty of one count each of second-degree murder and involuntary manslaughter. Cicinelli was found not guilty of one count each of involuntary manslaughter and excessive use of force. Charges against a third former Fullerton police officer, Joseph Wolfe, will be dropped in light of the not guilty verdicts, Orange County District Attorney Tony Rackauckas said outside the courtroom. 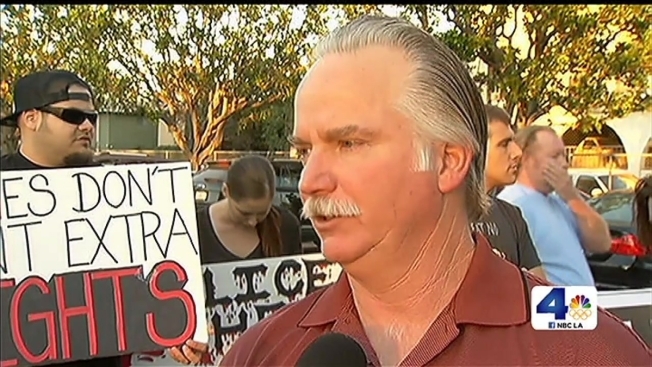 Two former Fullerton Police officers were acquitted Monday on all charges in the death of Kelly Thomas. The officers’ lawyer said they were relieved and thankful. Vikki Vargas reports from Santa Ana for the NBC4 News at 5 and 6 p.m. on January 13, 2014. Reaction was emotional on both sides after the verdict was read. Ramos and Cicinelli began to cry when they were acquitted, with Cicinelli hugging his attorney. Thomas’ father, Ron, burst into tears, kicking or stomping his foot. "Where do we really find justice any more in our justice system?" Ron Thomas said after the verdict. "It has been proven right here today that they will get away with it. They will get away with it." Two former Fullerton police officers accused of beating homeless man Kelly Thomas to death in a transit station in 2011 have been acquitted on all counts. 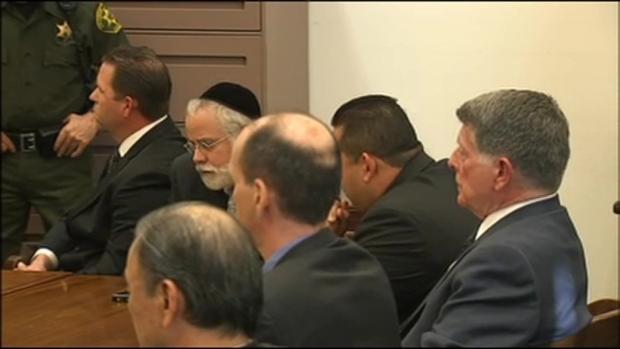 Watch raw video of the verdict being read on Monday, Jan. 13, 2014. "This is so egregious ... the audio, the video ... any bad cop can now just walk around and do what he wants to any of us," Thomas said. "We're all in trouble now." The case ignited outrage in the community and led to the recall of three Fullerton City Council members, the departure of the city’s police chief and a scathing report that accused the department of ignoring misconduct among its ranks. Dozens of people attended the trial each day wearing yellow ribbons and buttons bearing Thomas' image. Dr. Michael Lekawa testified in the trial against two ex-Fullerton officers accused in the fatal beating of Thomas, a homeless schizophrenic, who was beaten in a struggle with officers during a call out at a Fullerton transportation center in 2011. 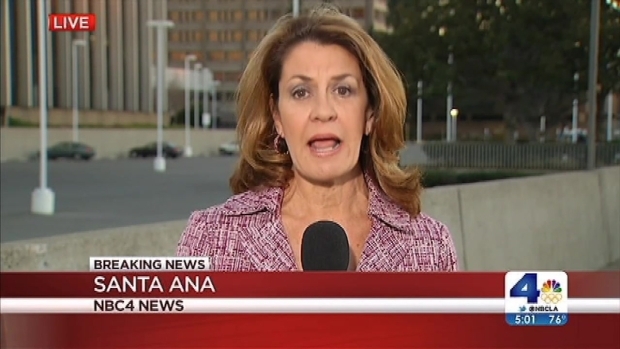 Vikki Vargas reports from Santa Ana for the NBC4 News at 5 p.m. on Dec. 10, 2013. Just hours after the ruling, the FBI announced it would examine the evidence and testimony in the trial to determine if more investigation is needed. "In 2011, the FBI opened an investigation to determine if Mr. Thomas' civil rights were violated during the altercation with Fullerton police officers. With the conclusion of the state court trial, investigators will examine the evidence and testimony to determine if further investigation is warranted at the federal level," FBI spokeswoman Laura Eimiller said in a statement to NBC4. Jurors in the Kelly Thomas beating case case saw pictures depicting the gruesome injuries inflicted on Thomas for the first time on Thursday while also hearing from the medical examiner who conducted the autopsy in the case. Vikki Vargas reports from Santa Ana for the NBC4 News at 5 p.m. on Thursday, Dec. 5, 2013. The American Civil Liberties Union also called the verdict "disappointing." “Today’s not guilty verdict in the criminal trial of Fullerton police officers Jay Cicinelli and Manuel Ramos, who were charged in the beating death of Kelly Thomas is disappointing, and demonstrates the need for civilian police review boards in Fullerton and elsewhere in Orange County,” said Hector Villagra, executive director of the ACLU of Southern California. In a statement, the Fullerton police chief said he respects the jury’s decision and referenced changes made in his department since Thomas’ death. “We respect the jury's verdict, and appreciate the consideration the jury gave to the evidence. We understand that there may be a wide variety of reactions to the verdict and encourage anybody who wishes to express their feelings to do so respectfully,” Chief Dan Hughes said. “Over the course of the past two and a half years the City of Fullerton Police Department has taken significant steps to make it the best department possible. As Fullerton’s new Police Chief, I will make sure those efforts continue so that our police department serves the community with honor, integrity and professionalism." Read: Kelly Thomas "Just Trying to Survive"
Jurors were handed the case on Jan. 9 and entered into deliberations on Monday, hours before the verdict came down. 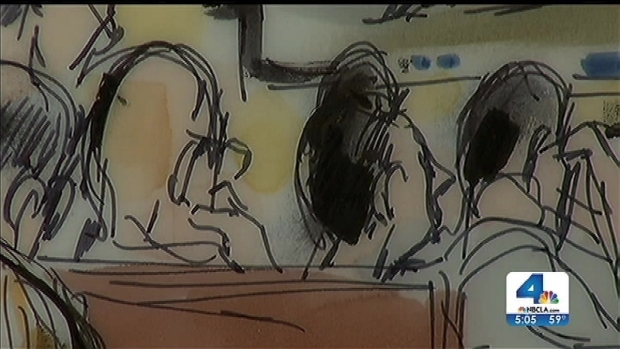 The trial included five weeks of testimony highlighted by a key piece of surveillance video and audio recordings from the night of July 5, 2011, when Kelly Thomas encountered officers as they investigated a report of someone trying to break into vehicles near the Fullerton Transportation Center. 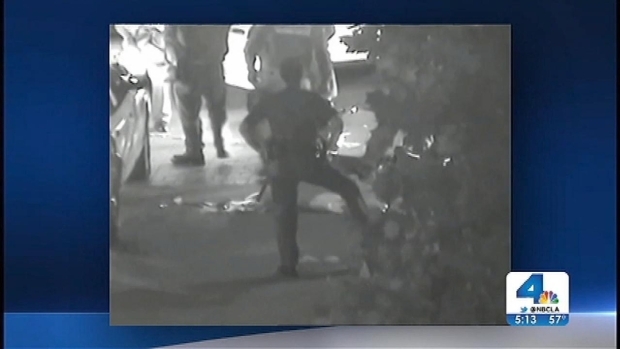 The video shows the confrontation escalate to violence involving six officers and Thomas, who suffered from schizophrenia. 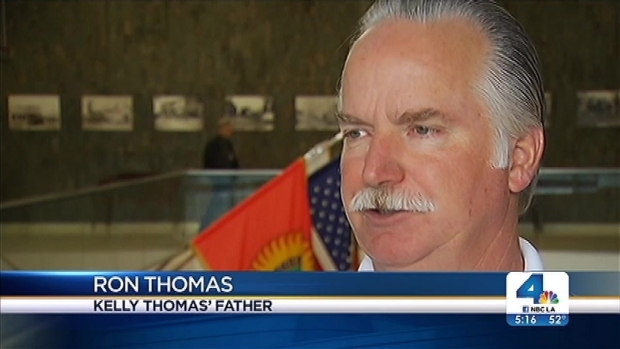 Thomas could be seen on the ground crying out for his father nearly 30 times, apologizing and begging for air. Thomas struggled with officers, but only because he "was just trying to survive," the district attorney told jurors, adding that Thomas was never informed of intent to arrest him. Thomas was taken to a hospital and placed on life support. He died at a hospital five days later. Investigators later determined that Thomas was not responsible for the break-in attempts. Read: Kelly Thomas Was "In Fight That He Started"
Defense attorneys claimed Thomas was a violent, unpredictable man who was to blame for the altercation because he was combative and ignored officers’ orders. The coroner's report determined Thomas died from chest compression during the struggle.